Thankfully there are savings to be found online! Unfortunately for us Canadians the biggest savings are found in the United States and those savings can easily be wiped out with excessive cross border shipping and brokerage costs. However, thanks to Kinek’s border locations, which can be used as your US shipping address, it is possible for Canadians to take advantage of the lower prices down south. 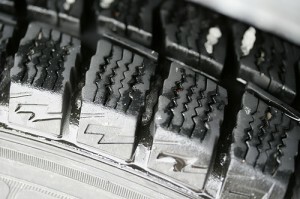 Let’s take a look at a couple popular winter tires and the savings you can find by shopping online and shipping to one of several convenient KinekPoint locations. Michelin X-Ice Xi2 195/65R15 – if you are one of the hundreds of thousands of Honda Civic or Toyota Corolla owners in Canada you have likely looked at these very tires each fall you have searched for your new winter rubbers. They are available from your local Canadian Tire store for $154.23 each. You need 4 tires, so that comes to a grand total of $616.92 plus tax. After searching online I was able to find the exact same tires for $93 each on TireRack.com. They do ship to Canada, but because of high cross-border shipping and brokerage costs to the savings were completely wiped out. However, if you use a KinekPoint as your US shipping address you can have them delivered for under $50. Add a $5 per tire KinekPoint receiving fee and your grand total comes to only $422, that’s a 30% savings! What would you do with the nearly $200 left in your pocket? Goodyear Ultra Grip Performance 215/50R17 – Let’s say you have a BMW 328i sedan and are looking for a little bit more performance out of your winter tires. If you buy these Goodyear Ultra Grips from your local Canadian Tire store they’re $283.80 a pop. The total hit on your wallet will be $1135.20 plus applicable taxes. Now if we take a look again at TireRack.com we find that the exact same tires are sold for less than half that price, $133 each. When you add$52.22 in shipping costs and KinekPoint fee you come up with a grand total of $604.22. But as an added bonus, right now with the purchase of these tires you get a $50 American Express reward card from TireRack (an offer valid only in the US) so really your cost for the tires is only $554.22. By purchasing your winter tires online and shipping them to your US shipping address you can save $580.98! So when you’re looking at buying new winter tires and feeling down because of high prices remember that there are other options. Look online for the best deals and make those deals even sweeter by saving on shipping and brokerage costs by shipping them to the border and picking them up at a KinekPoint border location of your choice.